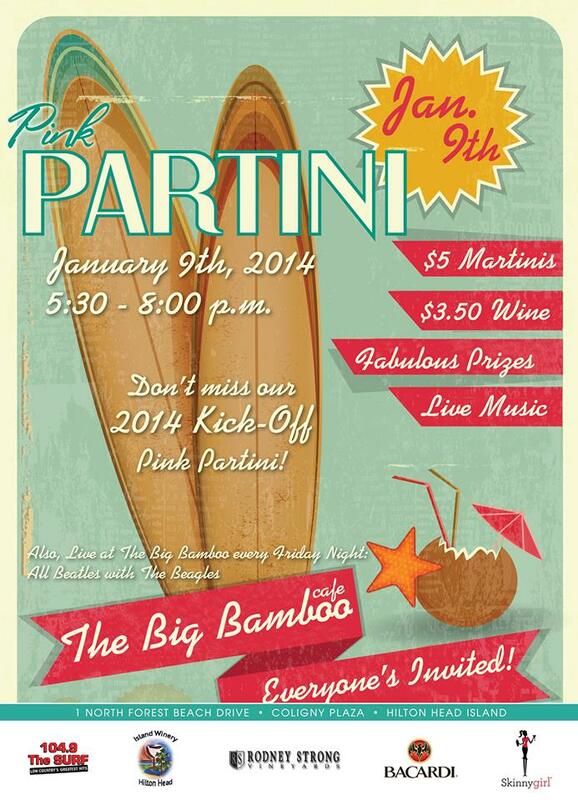 Once a month you can find a Pink Partini Party at different locations throughout the Island. Live music, drink specials and prizes. This month it will be held at the Big Bamboo Cafe in Coligny Plaza. Tonight from 5:30-8:00. The Big Bamboo is part of our Preferred Guest Discount Program, show them your card and receive 15% off you food bill! Start planning your Hilton Head Island Vacation Today! Snow Day on Hilton Head Island! — Captain Woody’s Oyster Roast!